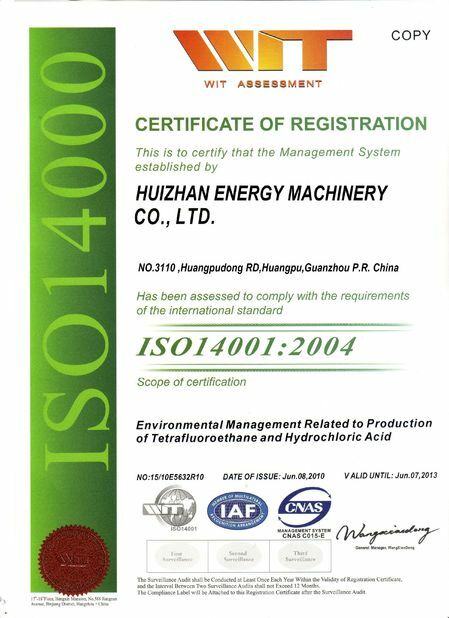 Huizhan energy machinery co., Ltd was set up by Chaungzhan Machinery Maintaining Co., Ltd founded in 1998, focus on the A/C , chiller system and etc. 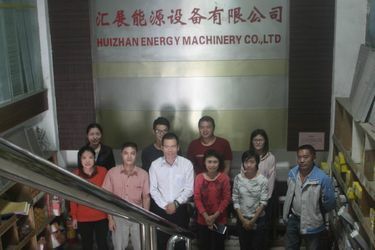 With the purpose to provide high class service and extend its business, it launched Huizhan energy machinery co., Ltd and the gas filling factory in Guangzhou and Zhejiang, its one-stop service covers refrigerant gas, air conditioning system and accessories. 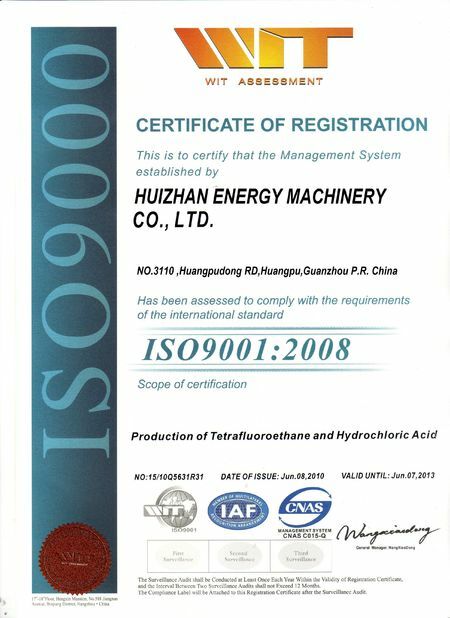 Due to the excellent service and products we are a eligible partner to a vast range of industries around the world. Our project involved in refrigeration, process chilling and heat extraction applications used in the food and beverage, pharmaceuticals, industrial manufacturing, chemical and petrochemical industries. We, leader in refrigerant solutions and services. Whatever your application, wherever you are, we can meet all your needs relating to the delivery, handling and management of refrigerant gases. Whether your application is about refrigeration, air conditioning or any other the HVAC projects, we will have the right solution for you. We can provide wide range of products and services in refrigeration industry, it is continually growing and developing to meet the various customers' need. HCFCs: R22, R22R, R123,R124, R401A, R401B, R402A, R402B, R403B, R408A, R409A, R409B and more. HFCs: R134a, R404A, R407C, R410A, R413A, R417A, R507, R508B and more. Natural Refrigerant Gas: R600a, R290a. 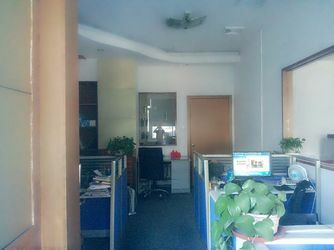 Split Air Conditioner, Wall-mounted Air Conditioning, Ceiling Type Air Conditioning, Explosion Proof Air Conditioning, High Temperature Air Conditioning, Central Air Conditioning. We provide free technical support by online service, you can leave a message for us by sending us a inquiry. As soon as we get the inquiry, we will get back to you. We know that it is far from finished after the product has been sent out to customer's hand. We are here at your service. pricing. Every step is critical for them to be successful. It's not easy, but we did it. In future, we believe we will get more achievements. 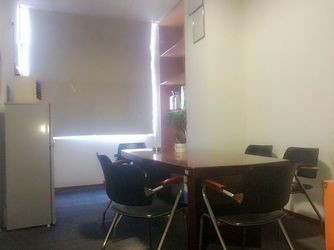 It focuses on New Product Research, New Product Development, Existing Product Updates, Quality Checks, Innovation, Manufacturing Technology Developments To Reduce Costs and etc. They take responsibility for the safety,health, environment, quality. Service is as important as product, it's even more important in some degree. Our busines begins from our services and it will never stop. So, it needs more time and more wok for us to do it well, we fully understand this. In the face of customers, we will use our capability to do a good job for you. 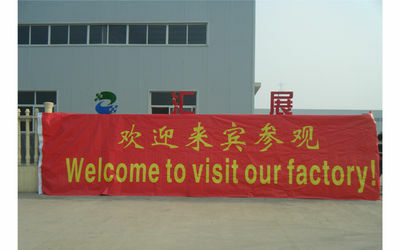 Welcome you!